little corner and each time I am offered something I didn’t notice before. 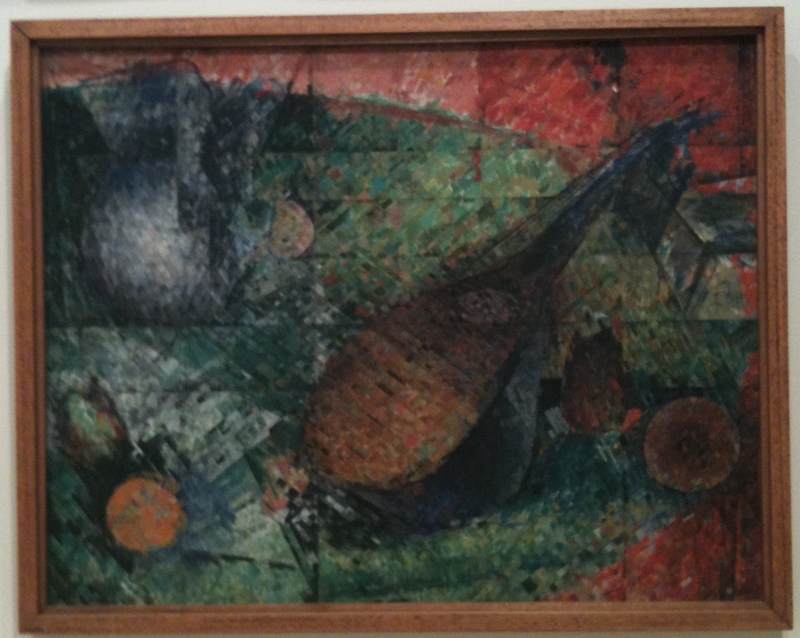 On this visit the theme of music from Miller’s lute floated through into the ‘Paths to Abstraction 1867-1917′ exhibition. Not quite sure how I also managed to float down the stairs to that space, but I did, and was just in time for an illuminating tour with Keith who had the vocal tones of David Attenborough. It seemed to me that Miller had walked the paths to abstraction as presented or represented by the curator Terence Maloon. Certainly the musical elements inherent in the use of colour, the impressionist experiments, the influences of Kandinsky, Cezanne, Picasso, discussions on unity, the flat surface of a canvas, ideas challenging what is form, these are all contained in Miller’s letters. And yet he doesn’t end at abstraction. He ends with a unique conversation on canvas where each linguistic representation is a coloured mosaic portion of the canvas, that gradually builds into a form and reality – beyond the object – but beyond the actual too, into a spiritual dimension. His canvases are his place of conversation, his communion with ideas. I believe Miller did take the path to abstraction along with many of his contemporaries, and parallel to significant events in global history, but ultimately he broke new ground creating a path that only holds the evidence of his footprints. 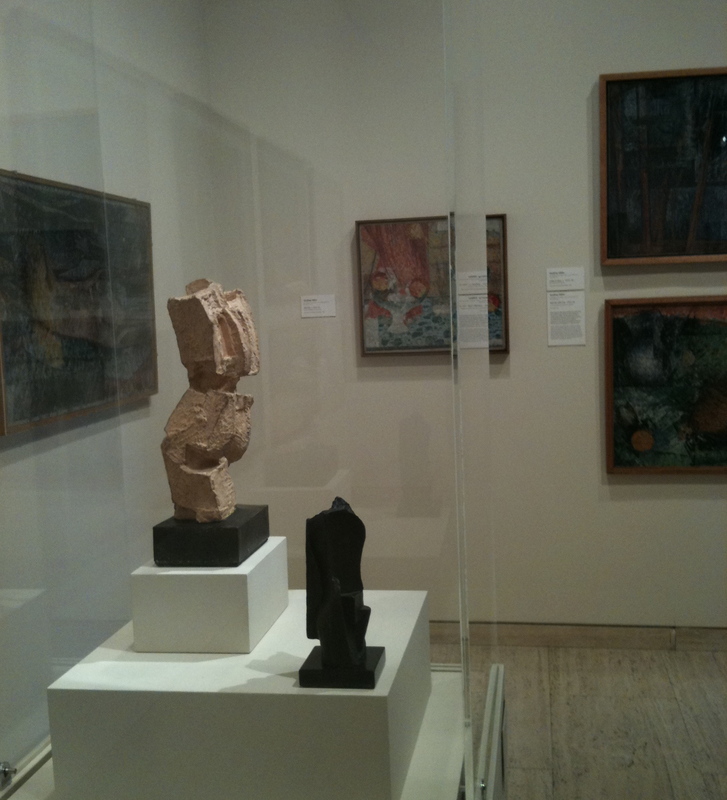 This entry was posted in Sydney and tagged Abstraction, Art, Art Gallery of NSW, Australia, Godfrey Miller, Namatjira. Bookmark the permalink.